Your little hero will save the day with this Rescue Bots hero! 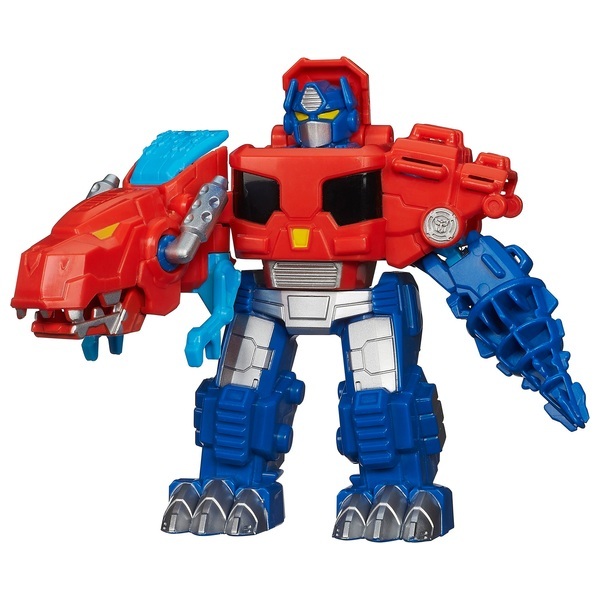 It's easy for his little hands to convert his Optimus Prime figure from fierce robot warrior mode to T-Rex mode. Then he can send his Optimus Prime dino stomping after the foe! He'll love converting his robot warrior back and forth for awesome Transformers adventures!